HAP Investment Developers first announced 247-249 East 117th Street in 2017 following a purchase of the build site for an estimated $3.2 million. Today, the project is known as HAP NINE, and YIMBY has a first look at the design’s renderings from Fischer + Makooi Architects. The project is expected to deliver 40 units spanning 25,560 square feet of residential space, for a rental-sized average of 639 square feet per apartment. There will also be 2,390 square feet of commercial-retail space on the ground floor. A completion date has not yet been confirmed by the developer. 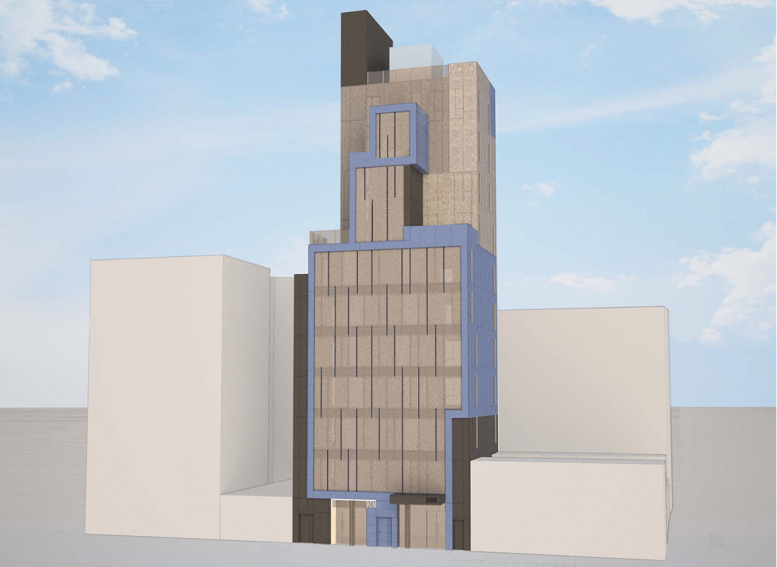 1 Comment on "Renderings Revealed for HAP NINE at 247 East 117th Street in East Harlem"
Please pardon me for using your space: Appositeness.